Rebranding. Website overhauls. Dealing with at least one of these two daunting missions is something that every busy legal marketer ideally is either facing this year or considering as part of a strategic plan – unless, of course, you’ve just finished that initiative. In that case, you can put it out of mind – but not for too long! A clearly communicated brand and a website that aligns with the firm image are two of the most critical assets that any firm can invest in. 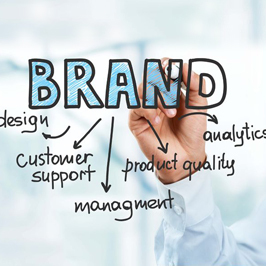 Once you create that law firm brand, it usually only needs periodic tweaking. Cyndy McCollough, director of marketing and business development at Buckley Sandler LLP, who recently led an effort to refresh the firm’s brand, echoed the importance of understanding how external audiences view the firm before embarking on a large-scale project. Bradley Arant Boult Cummings LLP also had started working on a website redesign, which was paused when the firm’s marketing and business development committee made the decision for a firmwide rebranding. The realization that the firm’s name was causing confusion in the marketplace drove the decision for a single name – Bradley – and underscored the need to rebrand. While such all-encompassing projects can require significant investments of time, energy and budget, a number of best practices will help legal marketers sail relatively smoothly toward completion. To help support and sell the concept within and throughout the firm, identify and align yourselves with internal champions, particularly those in the firm’s management ranks, said Kelly Schrupp, director of business development and marketing at Bradley. Even if a member of your executive committee says they have no interest in branding, keep them involved, recommended McCollough. “We knew we couldn’t do it alone, and we streamlined the number of vendors we used. Our vendors also provided project management and timely communication to help our marketing department stay on track,” said Schrupp. Jacqueline Madarang, Bradley’s senior marketing technology manager, stressed the importance of making good friends with your IT department and collaborating with them often. “Some tasks that required a partnership with our IT department included pushing out our new email signatures to all staff and attorneys; updating our electronic letterhead, fax, memo templates and macros; placing the new logo on phone screens and desktops; and creating a new screensaver that incorporated the new logo. Our IT personnel were essential to our success,” said Madarang. You don’t have to plan your project alone. Gather resources, checklists, referrals and tips from other legal marketers, including the series of branding articles that Schrupp and Madarang wrote for Strategies+ that detailed their experiences. These types of large-scale projects will invariably toss a few landmines your way, requiring solutions that will test all your skills and patience. No firm can expect to have the same timeframe as another on any project, since timing will depend on the scope and needs of that firm. “I spent some time researching everything involved in a rebrand, and realized there is an enormous spectrum of possibility – from a $5 million/three-year project for IBM to a $20,000/three-month project for a startup. We needed to do what made sense for our firm, so ours took nine months to complete,” said McCollough. Bradley’s initiative took about 20 months from start to finish. As part of the effort, the firm’s marketers also created an internal campaign to involve all the attorneys and staff in the brand rollout to get them excited, make them feel part of the new identity and to inspire them to begin using the new brand immediately. Among other efforts, everyone was greeted to a “desk drop” on the morning of the launch that included newly branded business cards, notepads and other promotional items. Creating a new brand presence for your law firm – one that resonates deeply with your audiences – is a challenge and opportunity that most law firm marketers eventually will engage in, and often more than once during a career. Success will depend on many factors. With proper planning and knowledge, your management of the rebrand or website overhaul will result in a meaningful asset that expresses and distinguishes the firm’s identity for many years. Need help with planning and executing a brand or website strategy? Contact Vivian Hood at vhood@jaffepr.com or 904.220.1915. CEO/Owner, Public Relations - Manages effective law firm media relations strategies that she adapts to fit each firm’s evolving needs.